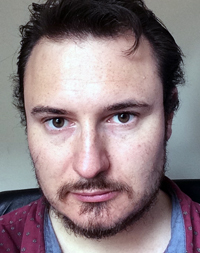 T. J. COLES is a postdoctoral researcher at Plymouth University’s Cognition Institute, working on issues relating to blindness and visual impairment. His thesis The Knotweed Factor can be read online. A columnist with Axis of Logic, Coles has written about politics and human rights for Counterpunch, Newsweek, the New Statesman and Truthout. His books include The Great Brexit Swindle, President Trump, Inc. and Fire and Fury. add to basket PRESIDENT TRUMP, INC.